Jeff Bezos is very fit and very rich — richer, once again, than Bill Gates — so let’s just go ahead and call this punching up. 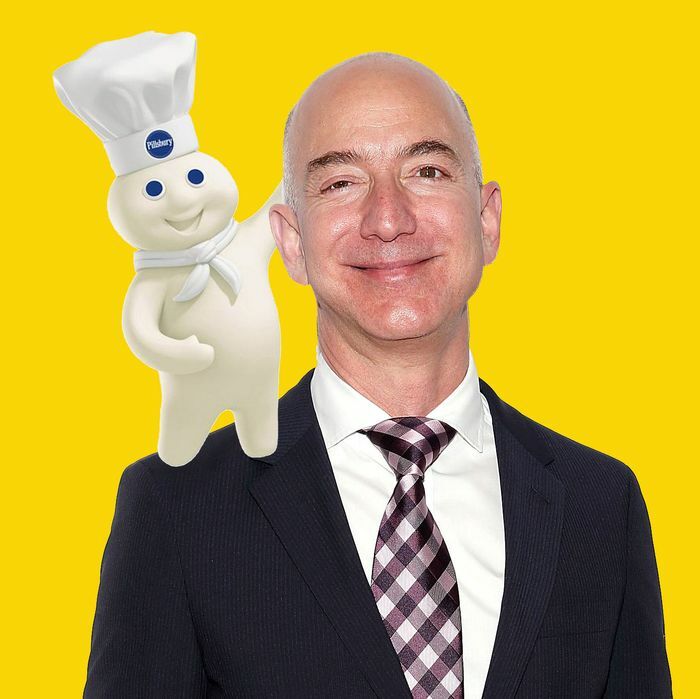 During an event in Los Angeles earlier this November, Bezos admitted to his brother Mark that he used to eat an entire can of Pillsbury biscuits every day back in the 1990s. “When my wife and I got married I had been eating a whole can, for a couple of years … I had been eating for breakfast every morning a whole can of Pillsbury biscuits,” he said. “I would wake up in the morning. I would preheat the oven to 375. I would get the baking sheet. I would crack open the Pillsbury biscuits and place them on there … with butter. And I would eat the whole can.” Apparently the secret to founding an insanely successful internet business is canned carbohydrates. Bezos said that after three months of being married, his wife intervened and asked him if he knew what he was eating each day. “I had never read a nutrition label in my life,” Bezos said. “I ate what tasted good to me.” Ostensibly, given his newfound swoleness and meme status, the list of things that taste good no longer includes whole cans of biscuits.